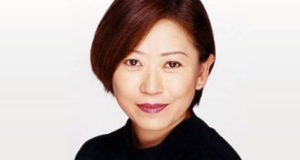 Hiromi Tsuru, who did the Japanese voice for Naomi Hunter in the Metal Gear Solid series has passed away at 57. She was found unconscious in her car and rushed to the hospital where she was pronounced dead. Official cause of death was an aortic dissection. Tsuru was most famous for her role as Bulma in Dragonball Z, but she also voiced videogame characters, including the Naomi who appears in Metal Gear Solid and Metal Gear Solid 4: Guns of the Patriots.